Alena Hove has been playing the violin since she was three years old. Some of her favorite composers growing up were Johann Sebastian Bach, Ludwig van Beethoven, Sergei Rachmaninoff and Fritz Kreisler. Today at 19, she is enrolled at the Conservatory of Music at Colburn School in downtown L.A., equipped with world-renowned faculty who work to polish their students into professional musicians. Hove probably knew more about classical music at three than most people know their whole lives, but that doesn’t mean the music she plays—neo-baroque, as performed in small chamber orchestras—isn’t made for the masses. Hove will be performing in the youth neo-baroque orchestra Kontrapunktus as part of a free concert at the California Heights Methodist Church, Saturday. With a program entitled “The Bachs,” the all-Colburn-student ensemble will present a compilation of music by Bach and three of his sons along with composer and L.A. resident Mark Moya. 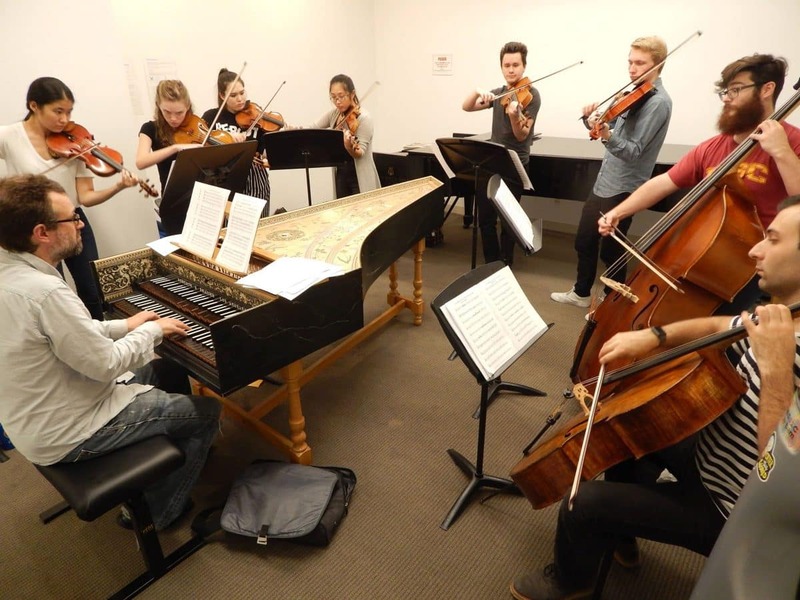 Kontrapunktus, Latin for “counterpoint,” was developed in 2015 by Long Beach native Raymond Jacobs, to provide listeners the opportunity to experience baroque music through concerts across Los Angeles and Orange County. The term baroque is used to describe the period in Western European art music from 1600 to 1750. It is derived from the Portuguese “barroco,” which translates to “oddly shaped pearl” because 19th-century critics found the sound overly ornamented and exaggerated. Baroque concerts are unique and unpredictable. While the music contains a variety of high and low tones, the baroque period is known for articulating the concept of harmony, with composers focusing on one single melody. The guiding melody gives musicians more opportunities to break away from their sheet music and improvise or solo. “Baroque music is so simple that I think it’s easy to observe other qualities about it,” Hove says. 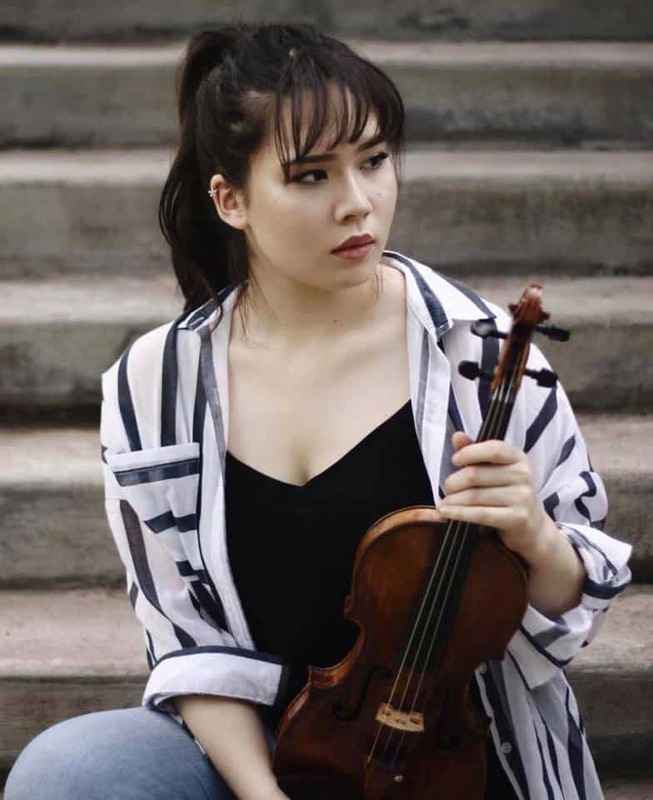 Joining her at Saturday’s concert will be concertmaster Kako Miura, violinists Madeleine Vaillancourt and Tiffany Kang, violists Ben Chilton and Christopher Rogers-Beadle, cellist Vardan Gasparyan, double bassist Eric Windmeier and harpsichordist Ian Pritchard. Pritchard, a history teacher at Colburn, is also the new artistic director of Kontrapunktus, and every member is or previously was a student of his at Colburn. “The Bachs” performed by Kontrapunktus, Saturday Nov. 17 at 8 p.m. Free. California Heights United Methodist Church is located at 3759 Orange Avenue.